Sean Parisi, born and raised around Chicago, IL has spent the last decade sharing his passion for wine, food and the pursuit of good taste. Sean’s love of wine started in Florence, Italy where he spent a semester as a 20 year old college student studying abroad. Taking a break from his business courses at the University of Illinois, he fell in love in with wine and decided that if he was presented with an opportunity to follow his passions in life, he’d jump at the chance to pursue a career in a field that he loved. Combining his education in finance and business with his passion for wine, Sean joined the WineStyles franchise network in 2005 as a multi-unit franchise operator with locations in Arlington Heights and Glenview, IL. Sharing his love of the business with others, Sean took over as the Area Development Manager for the WineStyles franchise in Illinois and has been a leading contributor to the growth and development of the WineStyles organization. 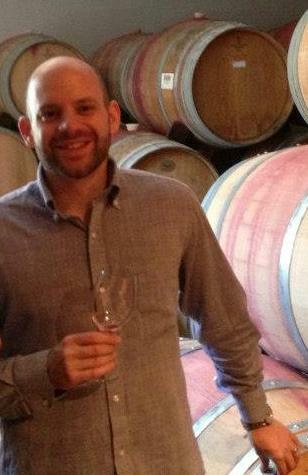 During his tenure with WineStyles, Sean has earned a Certified Specialist of Wine (C.S.W.) certification from the Society of Wine Educators and is now responsible for the management of the national wine program and franchise operations for the WineStyles Tasting Station. Since 2009, Sean has worked closely with many of the world’s leading wineries and import organizations to source outstanding wines that represent tremendous quality and value to share with over 10,000 WineStyles Wine Club members every month. If you’ve been a member of the WineStyles Wine Club you’ve tasted his work. Through this blog Sean will share insights into the mind of a wine buyer, aspiring home chef, small business owner, husband, father, friend and below average golfer. This entry was posted in Wine Trend Articles and tagged Certified Wine Specialist, sean parisi, wine, wine trends. Bookmark the permalink. Nice read. I just passed this onto a colleague who was doing a little research on that. He just bought me lunch because I found it for him! So let me rephrase: Thanx for lunch!